Certainly very interesting, all those repeating patterns. Wonderful patterns here... nicely spotted and captured. This makes them all look like lego! Little boxes - I hope they are all happy in these little boxes! Great image, the repetition and detail are pleasing. Fabulous shot, love the repetition and composition. @dorsethelen @frankhymus @christography @cathieg @ethelperry @rosiekerr @joemuli @maggiemae @cottiac @phil_sandford @evalieutionspics @jodies @scotthouston @overalvandaan @pasttheirprime @stiggle @jaybutterfield @jesperani @bkbinthecity @pharmersarah Wow, I am absolutely amazed that this shot got so much positive feedback and favs. Thank you all so very much for your very kind and encouraging comments. And for taking the time to do so. Your commenting is so meaningful! @kwind @lynnz Thank you both so much; I am truly flattered. 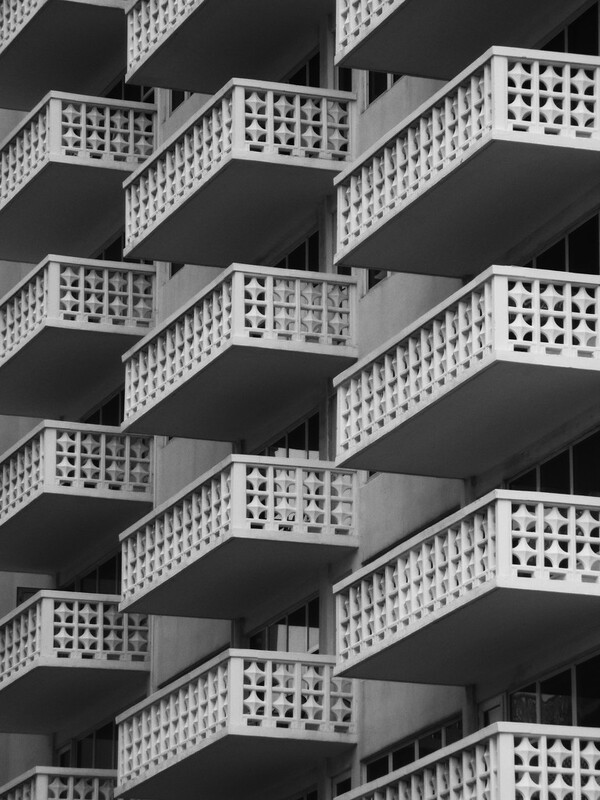 Great patterns and symmetry and I'm sure these balconies are more robust than they look - to me at least! Nice pov too. My eyes are loving the repeating pattern you captured here! @quietpurplehaze @cjphoto Thank you both....nice to see familiar faces and comments on this one. Much appreciated as always. Almost like an Escher sketch - great shot. @brigette @runner365 Thank you both and Claes, maybe I've been influenced by the Escher calendar that has been hanging on the wall this year What a nice compliment.